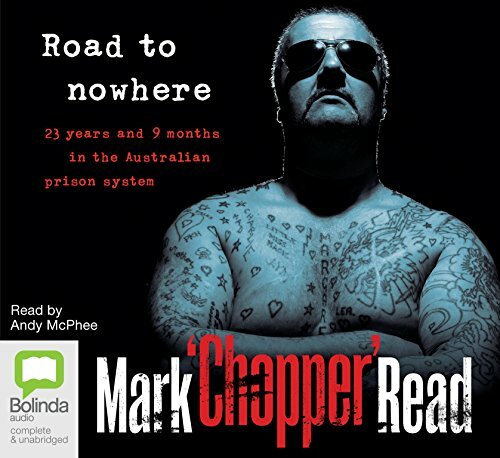 Mark ""Chopper"" Read is over fifty years old and has spent almost half that time in prison. He is a man who knows the Australian prison system better than any other. He knows how the definitive school of hard knocks turns juvenile delinquents into hardened criminals. How it feels to be thrust into a world of violent psychopaths and be changed, irrevocably, into the worst of their number. He also knows how it feels to pull out a man's colostomy bag (like a rope going through a barbed-wire fence). How it feels to lose your ears to a prison-issue razor blade (a gurgling sound like a little brook). How it feels to fight, maim and mutilate to stay alive. And what it means when that way of life no longer makes sense. This book is Chopper's redemption. It is the real story of the man, the criminal and the prisoner, told with black humour and surprising insight.